This gorgeous boho maternity session holds a special place in my heart. 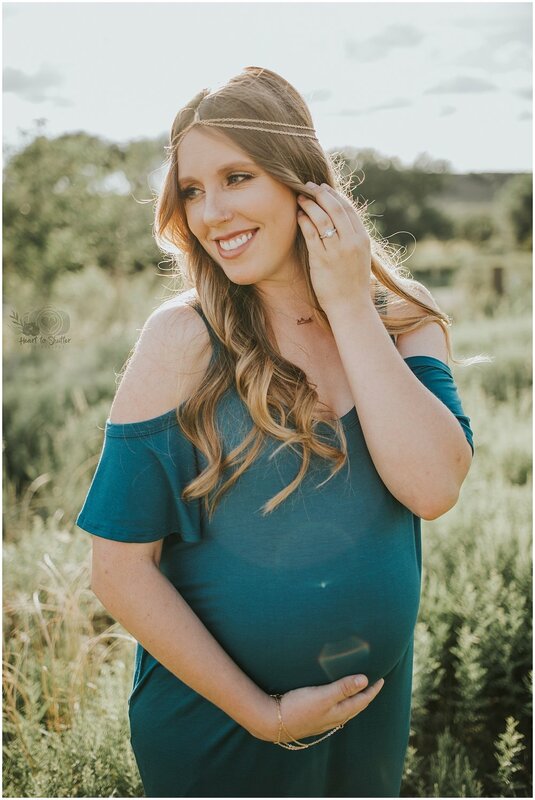 I loved helping my friend plan every detail of this maternity to celebrate her coming little one! To be absolutely raw and real, this session almost didn't happen even after months of planning. I went through the loss of my grandmother during this time. I knew deep down that my grandmother adored babies! She had 14 grandchildren and 25 great grandchildren with one on the way. And with that thought, I knew in my heart that I could not cancel! Nothing made her happier than brand new babies! I wanted to celebrate this sweet little one's life in a special way! And we definitely celebrated! I had my super sweet and special makeup artist, Samantha Cabrera, come to do Elise's makeup and make her feel like a queen! She looked positively radiant for her session! It was just her, from start to finish. Every moment reflected her personality and love for this coming babe! We enjoyed adventuring together and finding hidden spots filled with beauty! The session felt more like a long conversation than anything remotely close to work! I just loved our time together! And now there is a new baby girl! My heart was so filled with joy to learn about the perfect new baby girl and her family are all so in love with her! But I won't keep you from it any longer! Take a look below at Elise's gorgeous maternity session! want to see my most recent work?